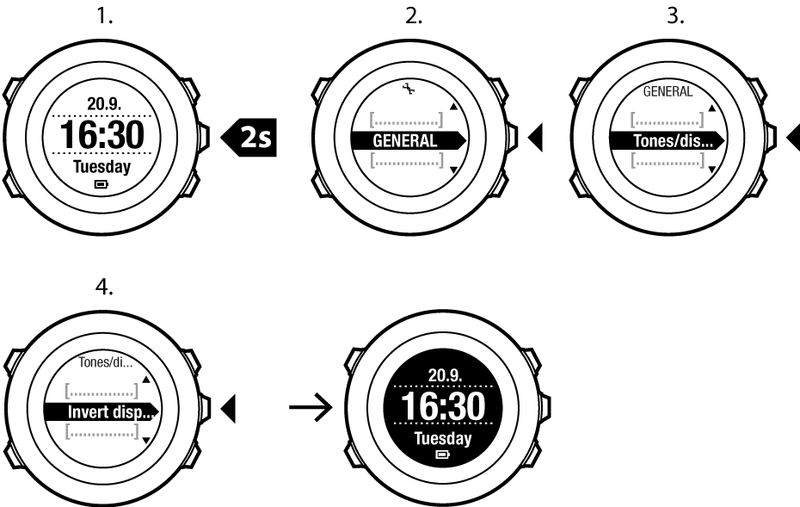 You can invert the display of your Suunto Ambit2 S from light to dark or vice versa. Scroll to Invert display with Start Stop and accept with Next. You can also invert the display of your Suunto Ambit2 S by keeping View pressed while you are in Time mode, a sport mode, navigating, or using the stopwatch and timers.